Of course mostly everyone around the world knows U.S. President Barack Obama’s “Yes, We Can!” catchphrase from when he was campaigning to get elected. Also I wrote a post a few days ago the Japan got a new Prime Minister. His name is Naoto Kan.
Now a T-shirt company in Japan called “Club T” is offering T-shirts that use the Japanese Prime Minister’s name in a word play with President Obama’s famous phrase. 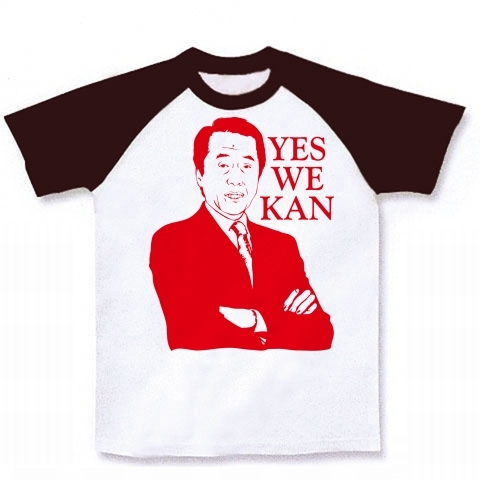 The T-shirts say “Yes, We Kan“. They also sell sweatshirts, coffee mugs, cell-phone cases, etc with the same image. It should be noted that Prime Minister Kan doesn’t use U.S. President Obama’s catch-phrase nor does he endorse these products. 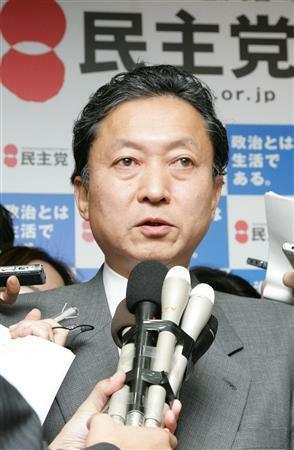 Yukio Hatoyama was the most recent Prime Minister of Japan…but he resigned yesterday due to his inability to keep his campaign promise to have some of the U.S. military bases in Okinawa moved off of the island. Many people outside of Japan are surprised that he’s quitting for that reason. Politicians often make campaign promises that they’re unable to keep but in Western countries (America, etc), those politicians stay in office for their entire term no matter how unpopular they become. But in Japanese culture a leader is expected to enforce the will of the people and if he is unable, he should step down to express his regret. Japanese people respect that more than someone who stubbornly refuses to admit his failure. In the twenty years that I’ve been living in Japan so far, I have seen fourteen different Japanese Prime Minister in office. But in those same twenty years, only four different men have been President of the United States. It’s almost certain that Naoto Kan will be Japan’s newest Prime Minister. First of all, today is the beginning of a three-day-weekend in Japan. Monday is 「体育の日」 (Sports Day). Until a few years ago, this holiday was on October 10th (today), and if that day fell on a Saturday (like it is this year), the day off would be “lost”. (If the 10th was a Sunday, it would be observed on the following day, though). But now the holiday is the second Monday of October…so it’s always a three-day-weekend. (Click here to read my short FAQ about this holiday). Japanese Prime Minister Hatoyama sent his congratulations to U.S. President Obama for receiving a Nobel Peace Prize, saying in part that he was pleased by Obama’s call for a nuclear-free world and that it must be difficult for the leader of the nation with the most nuclear weapons in the world to make such a statement. Japanese survivors of the atomic bombing of Hiroshima and Nagasaki also expressed their happiness by Obama’s plan to rid the world of nuclear arms and their support of his Nobel Prize. They also reiterated their invitation for him to visit their cities. U.S. President Obama is scheduled to make his first official visit to Japan on (2009) November 12 – 13. An American man was arrested for bringing a handgun into Japan on a flight from America. His gun was found by Japanese airport customs officers when he passed through customs at Narita Airport near Tokyo trying to transit to a flight to Thailand. It is unclear how he managed to get the gun through U.S. customs at the Dallas / Ft. Worth Airport, where he boarded the plane for Japan. Another American man is in Japanese prison for attempting to kidnap his children from his Japanese ex-wife and bring them back to America.He divorced his Japanese wife in America and the U.S. courts gave him custody of their two young children. But his ex-wife (the children’s mother) took the kids to Japan on “holiday” and never returned. So there is an arrest-warrant for her in America…that can only be enforced if she steps foot on U.S. soil again (which is unlikely). The Japanese courts, though, granted her full-custody of the children and when their father came to Japan to take the kids back, he was arrested. This case shows one of the many differences between American and Japanese culture. In America, when parents divorce it is common for both parents to “share” custody. But that’s extremely uncommon in Japan. The divorce-rate is still very low in Japan…but it is climbing. And when parents divorce here it is felt that it’s in the children’s best interest to try to keep life as stable as possible by having the father (usually) simply move on and keep out of their lives. Have you heard about any of these cases? What’s your opinion? Japan’s new Prime Minister, Yukio Hatoyama, went to New York yesterday and had his first meeting with U.S. President Barack Obama. For the U.S., the issue of Japan continued help with the “War On Terrorism” is of top concern. For Japan, it’s the issue of reducing the number of the U.S. military stationed in Japan…and abolishing nuclear weapons in the world. But for this first meeting, the only major issue raised was about ridding the world of nuclear weapons. Both Hatoyama and Obama said that they’d like to see an end to the nuclear threat in the world. As the only country that has ever been attacked by nuclear weapons, this issue is important to Japan. Prime Minister Hatoyama reiterated Japan’s stance that all nuclear weapons should be abolished and invited the the American president to visit Hiroshima and Nagasaki when he comes to Tokyo next November. No U.S. President has ever visited Hiroshima or Nagasaki . Have you heard about any of these news stories in Japan? ◎ The wife of the Japanese Prime-Minister-elect, Miyuki Hatoyama, seems to be a bit eccentric. She has been quoted as saying that she was abducted by aliens and taken into their triangular UFO for a trip to the planet Venus…which she described as rich with green foliage! She also said that she and her husband eat some of the sun every morning for energy! And that she met the famous American actor Tom Cruise in another life when he was Japanese! ◎ DoCoMo, the most prominent cellular-phone provider in Japan (and the one that my family uses), plans to begin selling their cell-phones in America. As well as offering many of the services that they provide in Japan, such as their “I-mode” internet service. It’s not clear yet if they plan to offer their cell-phone wallet service which is extremely popular in Japan to pay for everything from vending machines to groceries to fast-food to train fares. 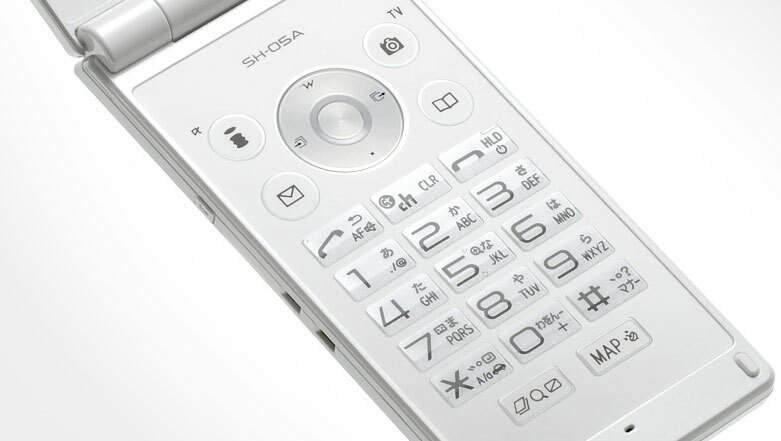 The key-pad of a Japanese "DoCoMo" cell-phone. 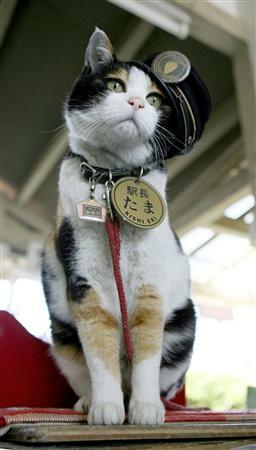 ◎ A small train line in a small town near Osaka, Japan was in danger of closing down until the media in Japan reported that a cat that had been hanging around the area was “hired” as the new 駅長 (station master). The cat’s name is 「たま」 (Tama) and she gets paid with cat-food by the train line. I remember when this story was on TV here about two years ago. It’s seems that the tactic worked…people are coming from all over Japan to ride the train and see 「たま」 (Tama), the 駅長 (station master). All the new customers are good for business and have kept the train line from closing down…but it created a new problem—where to put the cars from all the customers that drive to the station from around Japan. The train station that the cat works at, 喜志駅 (Kishi Station), doesn’t have any car parking spaces near it.